For more than a decade, the Ciena DN 7100 multiservice edge switches have been used by leading networks to reach a wide range of customers with next-gen services. They have also helped power the government solutions used by countless citizens. 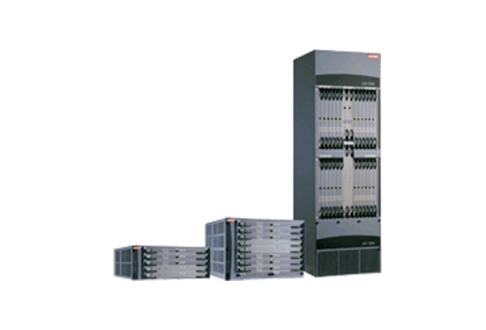 These models and the 7200s became a core piece of Verizon’s nationwide enterprise data services in 2004, focusing on fast packet services including frame relay and ATM. Choosing a refurbished Ciena DN 7100 from worldwide supply will allow you to converge new and existing networks onto Ethernet- and IP/MPLS-based architectures while protecting existing Layer 2 deployments and infrastructure. At the core of a refurbished Ciena DN 7100 is a smart build designed to reduce your hardware needs, simplify your OS management and provide a smarter configuration of control planes. Scale from DS0 to OC-48/STM-16 alongside speeds of 10/100 and Ethernet classes. Meet triple play aggregation requirements as well as fixed and mobile convergence applications such as Layer 2 MPLS VPN offerings. You can also support converged 2G/3G mobile voice and data where your radio access networks are still in play and providing customer support. Scale up to Gigabit Ethernet with your Ciena DN 7100. We’ll ensure you have a unit that meets OEM standards for quality but with smart refurbished and used options to make sure it meets your budget at the same time.